Most districts largely leave their responses up to individual schools, principals and teachers, a process that has produced uneven results. Call it a Jog-a-thon, a Fun Run or — as in the case of Hillsboro's Patterson Elementary School — a Panther Dash. Whatever it's named, an elementary school's annual fall fundraiser isn't supposed to end in tears. But that's what happened Sept. 28 when Stephanie Shimp-Taylor's 6-year-old son, Westen, was accidentally pushed to the ground in a crush of eager runners. "His little face bounced off the asphalt," said the Hillsboro mother of four who was there the day her son suffered a severe concussion. Fortunately, Shimp-Taylor got her son medical care right away. 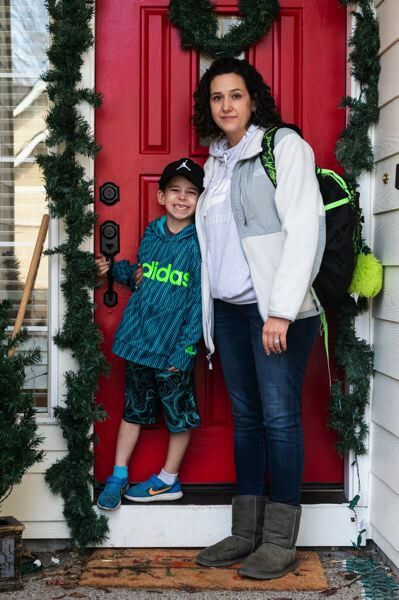 Unfortunately, although school officials initially seemed open to work with her to ease her son's return to school, Shimp-Taylor said the district's lack of preparation set them up for a fight. "The relationship is definitely changing," Shimp-Taylor said. "I had to threaten getting lawyers and everything — and now we're at the point where that might be necessary to ensure that he gets the support that he needs." Westen needed a modified school schedule, permission to wear a brimmed hat or headphones, and time to let his brain recover. But Shimp-Taylor said instead of a coordinated strategy for helping him succeed at school, she started getting grief about how much time he was missing from school. "It became clear to me that the school is not concerned with my son's well-being and, instead, is focused on the attendance numbers," she said. Nearly a decade ago, Oregon led the nation in passing a return-to-play law that governs when a student athlete is safe to practice and compete on the playing field following a concussion. But the state hasn't required anything to ensure student athletes — or any children with concussions — are ready for the classroom following their injury, nor that the classroom is ready for them. David Kracke, an attorney who helped lobby for Oregon's return-to-play law in 2009, says current law already calls for students' medical needs to be considered in their classroom following any injury, including a concussion. But Kracke agrees there's a problem in how the state approaches the learning needs of children with mild traumatic brain injuries, who may require modified homework assignments, low-lit study areas or other accommodations. He said it's time to expand the state's sports-fueled focus beyond "return to play" and help concussed students return to learn. "I don't think we necessarily need legislation to make this happen," said Kracke, who now works at Eugene's Center for Brain Injury Research and Training. "But without question, we need leadership from the highest levels of administration in this state." Shimp-Taylor says her Hillsboro school offered her son a "safety plan" — a list of accommodations for his medical needs — but not until Nov. 16, seven weeks after the concussion occurred. "I feel like the safety plan should have been in place the moment he came back to school," she said, adding that the interventions seemed to be largely dictated by her and her doctors. "There should be protocol in place in how to handle head injuries in elementary school with these kids." There soon could be. Guidance developed in recent years lays the groundwork for school-based concussion plans. But not enough people know about it. CBIRT — the place where Kracke works and the state's lead agency on traumatic brain injury response — last year released "In the Classroom After Concussion." The 10-hour online professional development course is free to Oregon educators and teaches them what to do for a concussed student. But few educators Pamplin Media Group spoke to had heard about the course. In response to questions about its return-to-learn practices, Hillsboro School District spokeswoman Elizabeth Graser confirmed that Hillsboro does not use "In the Classroom." However, Hillsboro does use other CBIRT resources — particularly for high school student athletes. The district also offers resources to teachers on head injuries on its website. School nurses tend to be involved when a school hears about a head injury. But much as Shimp-Taylor experienced, the district's method relies heavily on doctor and parent guidance for educational accommodations. Graser said parents are given paperwork for them and their doctor to fill out on what accommodations are needed and school nurses also can play a role in making sure the parents and school staff have a plan. But the materials the Hillsboro district has on concussion management applies to student athletes covered by the return-to-play law, not younger children and nonathletes like Shimp-Taylor's son. Asking the Oregon Department of Education yielded little information on what should happen academically for students who have suffered concussions. ODE Education Specialist Jeremy Wells said concussions might fall under special education provisions, such as an Individual Education Program or a 504 plan. But Wells, to whom Clackamas County school districts come to for advice, said each district determines how it wants to approach a concussion. "For all of our 197 school districts, we operate under local control," he said. Pamplin Media Group found that school districts, in turn, largely leave their response to treating nonsports brain injuries up to individual schools, principals and teachers. "There really isn't any law that requires anything before going back to learn," said Sasha Grenier, ODE's sexual health and school nurse specialist. While some district staffers might reach for IEPs and 504s, they are slow processes designed for youth who have long-term needs or permanent disabilities. "With a concussed student, however, that student needs immediate accommodations and they need it for one to four weeks, or three to eight weeks," Kracke said. The state's hands-off approach to preparing concussed students for the classroom is a sharp contrast from the state laws governing when student athletes can return to athletic activities. And, it comes even though the Oregon Department of Education is paying the Center for Brain Injury Research and Training to teach educators a specific protocol: "In the Classroom After Concussion." CBIRT's Oregon Traumatic Brain Injury Education Coordinator Melissa McCart said the online training has not been heavily accessed. "There's not a ton of people," McCart said. "It's whoever is interested in it. We don't have any requirements to do it." In fact, a public records request revealed that "In the Classroom" has only had 141 users — out of the thousands of Oregon school staff and many more teachers nationwide. In 2019, CBIRT plans to market the course nationally. But the debate of whether a new law is needed to make sure students with concussions are served correctly in schools probably will continue. Most researchers — including those at CBIRT — are reluctant to impose another unfunded mandate on teachers. But they do think there should be a way to get return-to-learn information into more of the hands that need it. Kracke said he expects to see an "administrative solution" by the end of the three-year federal grant that employs him at CBIRT. "We are figuring out what direction our solutions are going to go," he said. Kracke agrees that the crux of the issue appears to be that not enough districts know about the free resource that CBIRT developed, which is particularly unfortunate, he said, because with a concussion, "we don't have the luxury of time." 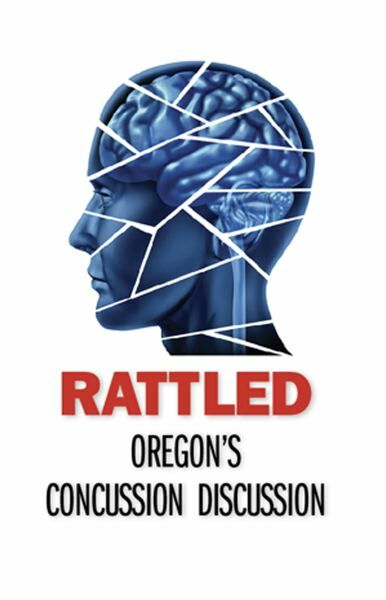 Oregon is widely recognized to be a leader in the small, interconnected world of concussion and brain injury education management. CBIRT received $600,000 in federal funding due to its expertise and the leadership needed to make "In The Classroom" a model program for other states. The long, slow rollout of the training is in part due to the need to collect scientific evidence that it works to teach people what they need to know. A few other states haven't wanted to wait. States like Colorado and Pennsylvania have been teaching a return-to-learn model for years. Called "Get Schooled on Concussion," their return-to-learn resources are free, open to everyone online, and integrate with an action plan that's not only for school staff — like "In the Classroom" — but also parents and medical personnel. That interdisciplinary action plan is called REAP, which gets its name from its four steps of concussion management: remove/reduce, educate, adjust/accommodate and pace. REAP is the brainchild of Dr. Karen McAvoy, a small, cheerful woman whose professional life changed dramatically one day in September 2004. That was the day 15-year-old Jake Snakenberg died from second-impact syndrome — a second concussion too soon after his first. McAvoy was the psychologist at Snakenberg's Colorado high school. With one foot in the education world and one foot in the medical world, she spent years afterward developing and codifying concussion management plans that could coordinate efforts between all of the people in a young person's life. 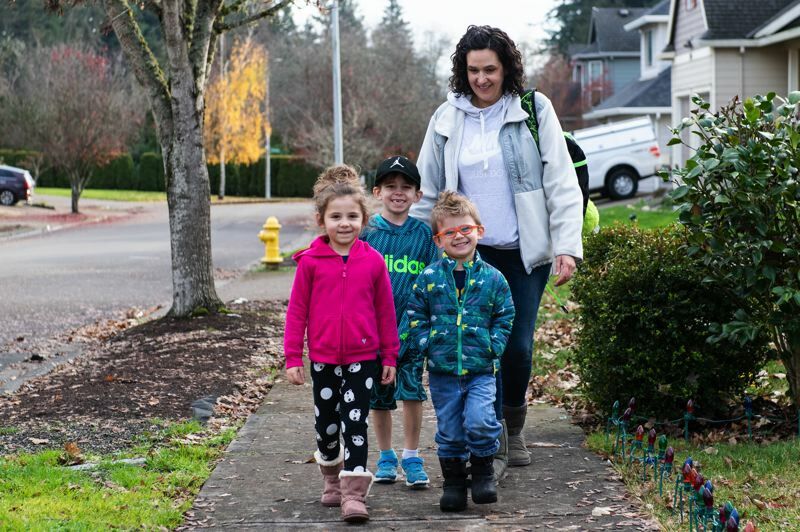 Snakenberg got his concussions on the football field, but, as Hillsboro mom Shimp-Taylor found out, concussions can happen anywhere and to children much younger than those covered by Oregon's return-to-play laws. 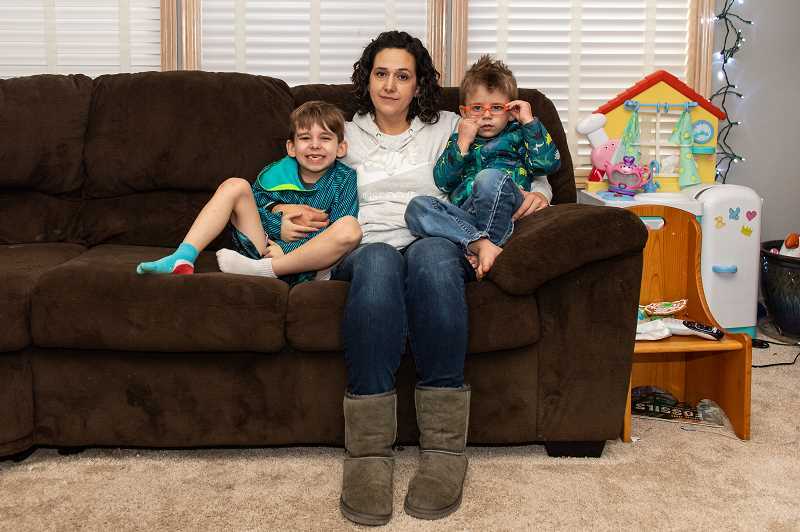 For families at schools that don't have good return-to-learn protocols in place, much of the burden of coordinating post-concussion care falls to parents like Shimp-Taylor. "Things are not going as well as I had hoped," she said of her son's return to first grade. Shimp-Taylor said she's not frustrated with her school so much as with administrators who didn't do "their part to protect kids returning to school after a concussion." These days, Westen still has headaches and still hasn't returned to school full-time. Shimp-Taylor said if she didn't have his doctor's detailed instructions or if the school wasn't as willing to accommodate him, Westen's recovery would have been a lot worse. "It would be a disaster, because the school has no idea what to do for concussions," she said. "They don't have their own protocol in place. So it's other people telling me what to do and then me telling them." This story has been supported by the Solutions Journalism Network, a nonprofit organization dedicated to rigorous and compelling reporting about responses to social problems, http://solutionsjournalism.org.